Even before she was elected to the Tribal Council Pinto served as Tribal Secretary, answering phones, recording meetings, filing forms and keeping documents. She lived for a time in the Village and attended local schools including Valhalla High School. Her uncle is Raymond Hunter, former Chairman of the Tribe. Chairwoman Pinto has the unique combination of close family connection to the tribe, intimate knowledge of its undertakings and a young, fresh leadership style. 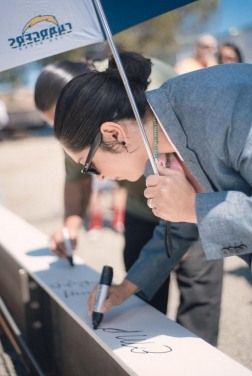 She admits that being the leader of the tribe is “a whole different ball-game” from Council Membership but she is not shy about being the new face and voice of the Jamul Indian village in this time of intense attention being drawn to the Village. As the new tribal leader, she has big dreams. “My vision and my hope as leader of the tribe is to allow the tribe to become self-sufficient, economically independent, expanding our land base, able to venture out into other businesses,” she said in her interview with ECM. She also reflected on the many changes the tribe has seen. 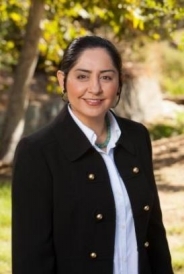 Chairwoman Pinto’s mother is Carlene Chamberlain, a widely respected leader who helped bring healthcare to the Kumeyaay Nation and serves on the Southern Indian Health Council with clinics in Santa Ysabel, Campo and Alpine. She also believes in giving back to the community. Erica Pinto and her brother, Chris Pinto started Acorns to Oaks, a program to mentor tribal youth in life skills and encourage kids to excel in school and steer clear of drugs. The tribe under Pinto’s leadership aspires to provide charitable assistance encompassing three areas: hungry, homeless and recovery. The tribe, in partnership with Penn National Gaming, seeks to reach out to the community through non-profits such as Madeleine Sophie’s, Crisis House and Noah’s Homes—especially the latter, a non-profit group home in Jamul where JIV can help provide employment and other opportunities for disasdvantaged residents. 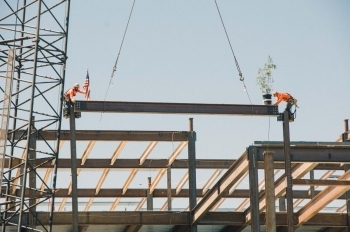 The new casino, built in partnership with Penn Gaming, is anticipated to bring investments, jobs and revenues to Jamul. It will be the nearest casino to San Diego as well as the Otay and Tecate border crossings. St Jean previously served four years as General Manager of Hollywood Casino Toledo, following a 16-year career at Station Casinos during which he served as President of Native American Gaming. His nearly 30-year career has also included roles at the Tropicana Resort & Casino in Las Vegas, Colorado Belle Hotel & Casino in Laughlin, Nevada, Caesars Palace Hotel & Casino in Las Vegas and the Waldorf-Astoria Hotel in New York. One of the main concerns of local residents is the impact of the casino on traffic along State Route 94, so we asked what is being done to improve traffic safety and flow. The Jamul Indian Village website shows details of six roadway improvements that include widening in some places, adding turn lanes, improved signage, rumble strips and signals in and around intersections. We asked the new general manager why. 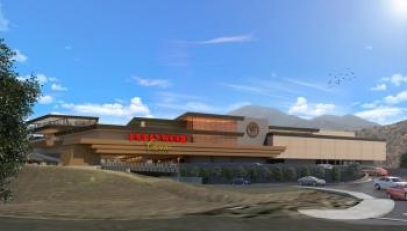 ECM asked the question on everybody’s mind: what will Hollywood Casino Jamul be like? They also pitched in during emergencies. Finally we asked General Manager St Jean what has been done to reach out to the community of Jamul. He closed with a prediction of growth for local businesses and some good news for local job seekers. Leon Thompson is a Tribal Beat reporter for East County Magazine and a member of the Chippewa tribal nation. It sounds like the Tribe could become a asset to the community. 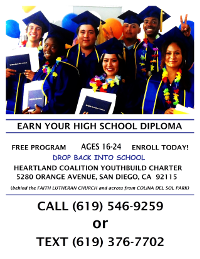 I grew up in the area and remember how hard it was to find a job locally as a teen and young adult. I ended up driven miles to work at times. Maybe jobs will be a good thing. Maybe when the tribe prospers if they do they will be less self centered and benefit those in the area who need it as many other tribes have. When is the right time to make an effort to stop new development in communities? The no growth effort is often led by those professing to be protecting the area. My question is why was it alright for these people to have homes built or purchase homes and add their trips to the roadway if they have a problem with the traffic they contribute to it. Did their activity not impact the area but if I visit the Casino or work there in the future it will be somehow detrimental? It seems hypocritical to me. This particular location is on a state highway it seems like a place I would be hard to convince that a casino or other business would be such a problem. Maybe we should have stopped development years ago or maybe next year so I can have a chance to move their and build a house before those that will ruin the area can come. Shame on you Hano for bringing up racism! It doesn't have anything to do with racism. If any ethnic, religious or social group were to attempt to build such a illegal monstrosity in our community it would be fought all the way to the top court in the land. It's about traffic safety, crime and environmental impacts and following the law. Three Cheers for Dianne Jacob as she has fully supported her constituents not only in this matter but many other issues that have to do with our community. Hollering 'racism' when someone disagrees with you is not a logical argument. It may be desperation or name calling but doesn't belong in any kind of rational discussion. The article above reads like a long-form ad for the casino and these pro-casino commentors puzzling over why the community is so against the casino were obviously written by folks outside the community. Us locals realize that unnatural traffic being driven onto our tiny two lane highway will only make our traffic struggles in and out worse, and more dangerous in wildfire situations. We also understand that the tiny and few road adjustments described above will not make a dent to address this. East County Magazine, try to show a little less bias next time. I am still hopeful about the current lawsuits and that justice will prevail and then they can move the whole mess to Hollywood or Pennsylvania where it belongs. There is zero bias on our part. We have previously had stories on this casino that included opponents' viewpoints such as coverage of rallies and lawsuits waged by the opponents. It is good journalism to reach out and include all sides in an issue of public importance, and in this story we were pleased to provide the new tribal chairwoman's point of view on a variety of issues, the casino being one of those. Opponents of this project seem to think that including any views but their own is "bias," when in fact it would be bias to exclude the tribe's viewpoint. No, an interview/profile is just that. On our radio show we do many interviews such as ones we've done with environmentalists, charity leaders, business leaders, farmers, artists etc. and for that matter your own supporters in the past talking about Jamul issues and I didn't hear anyone clamoring to label those as editorials. This is not OUR opinion in this piece. We are simply fulfilling our mission statement of allowing all voices and views to be heard. That doesn't mean every voice in every article. Sometimes we interview opposing views together, other times separately. For the record, we have not taken any money from the Jamul tribe or Penn. If we ever do run a story on anything controversial involving someone who is a major sponsor, we disclose that, rest assured. For instance when we covered some community members' concerns over a hotel Viejas planned to build, we disclosed that they were the sponsor of our wildfire alerts at that time. Nobody on either side complained of any bias. Same when we ran a story on a wind project; we disclosed that our parent nonprofit had the wind company as a sponsor of a conference it was holding. That story actually had a lot more negative than positive details on the project which was widely opposed in the community. We never shy away from truth or allowing all views just because someone has been a donor or sponsor of our magazine or our parent nonprofit. We also don't give in to pressure by any group to silence the voice of another. Also we do not run "advertorials" or ads disguised as news stories, which is unethical. I have been at a complete loss concerning the opposition to this Casino and the actions taken by people in the community of Jamul. Over and over the people of San Diego County have seen nothing but positive impacts on the part of Native American gambling/casinos. Alpine has benefited greatly from Viejas; Harbinson Canyon/Rancho San Diego, Dehesa have benefited from Syucan, etc. I expect the same to occur here. Some of the actions on the part of people in Jamul have bordered on the unethical. For example, San Diego Rural Fire District (across the street from this casino site) has used tax dollars intended for fire protection to file Amicus briefs opposing this casino (without the knowledge of those in other parts of the fire district, e.g. Alpine, Lake Moreno, Descanso, etc.). Over and over, those opposed have held open meetings with nothing but abuse for the tribal members/casino management who have attended. I have heard over and over how Jamul wants to maintain its "rural nature", but I am at a loss at how this casino will make the area "urban". Of course, the 800 lbs gorillas in the room are the County Supervisor who lives in Jamul supports opposing the casino AND I cannot help but wonder if there isn't some level of racism present in the opponents. All in all, a sad situation and one which should be addressed collaboratively vice the manner in which it is currently being handled. Hano, I'd like to know more about the Rural Fire actions. Can you email me paperwork or mintues to document those actions? I also heard, though haven't yet verified, that Rural Fire blocked certification of a tribal fire dept. I would like to get the facts but it would seem troubling to many I'm sure if efforts to improve fire safety, from any source, were being blocked. I would think one could support or oppose a casino, yet still be in favor of beefing up fire protection and opposed to spending public funds on a legal battle without at least a public hearing and notice to district residents. If anyone else here has knowledge on these issues, please email me at editor@eastcountymagazine.org. 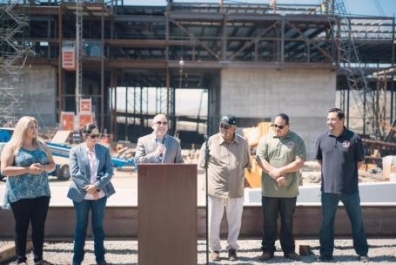 The Jamul Casino will be good for the local economy. 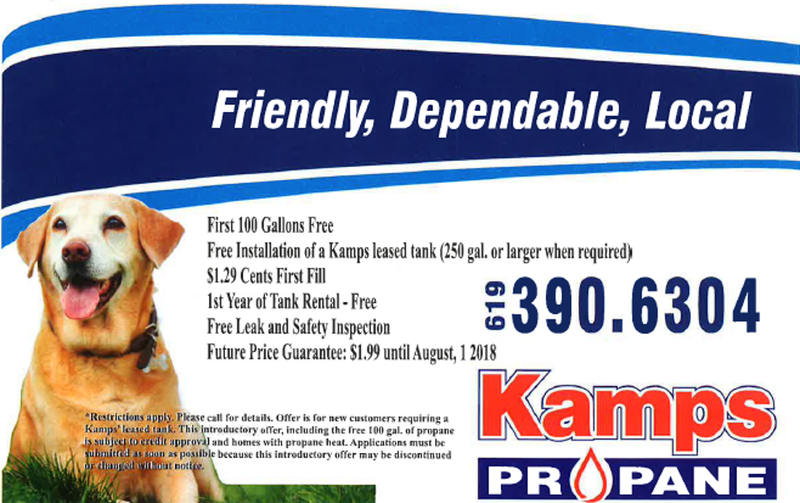 Businesses along SR 94, like gas stations, convenience stores and restaurants will get additional businesses from the Jamul Casino customers coming to the area. The casino will hire locally for services at the property. I know it isn't what some vocal locals expected or wanted in their area, but it is inevitable...so let's make the best of it. A couple of years from now, opposition will be quieted, jobs will be added locally, and it won't be the doom and gloom that opponents predicted. I obviously 100% agree with jacjamul! Not one tribal member is a Jamul resident!!!!!!!! No one really cares about the jobs this casino is bringing. Other local casinos have already told employees if they leave to work at the Jamul casino they will not be eligible for re-hire. Anyone that lives in Jamul will probably drive to Arizona for a job before applying for a job at this casino. Ask Mr. Simpson what happens in the community when you work with the casino. Please follow our posting rules. A reminder that our site rules ask for civil and respectful comments. While diverse views on controversial issues are allowed, comments tht are potentially defamatory are not. Stating someone has done things "illegally" when no one has been charged or arrested, nor convicted in a criminal court nor even a civil court is over that line. While there are civil lawsuits working their way through the courts, thus far all rulings have been in favor of the tribe. 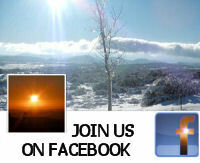 We also do not allow any comments that include racism, profanity or name-calling. I am deleting a portion of your remark that violated our posting guidelines. "what has been done to reach out to the community of Jamul"
Penn/JIV have done nothing to reach out to the community of Jamul. They have not been "good" neighbors. Not one of the so-called tribal members live on the property. None of the tribal members live in Jamul. The current members violently evicted and destroyed the homes of their "family". How do you explain destroying your own family while touting you are working for a better community? Calling BS on that one. And you think Penn/JIV want to work with the community to make it better? They are destroying the community of Jamul. 97% of the community and surrounding communities don't want it. The lawsuits in state and federal court are still pending. We will continue to fight to save our community. If you are expecting traffic on SR94 from Tecate and Otay then why has Caltrans not proposed improvements to the eastern parts of SR 94? Why hasn't the intersection of SR 94 and Steele Canyon High School/Cougar Canyon been designated for improvements? Because Penn/JIV and Caltrans do not give a damn about our kids. Or the drivers of SR 94.